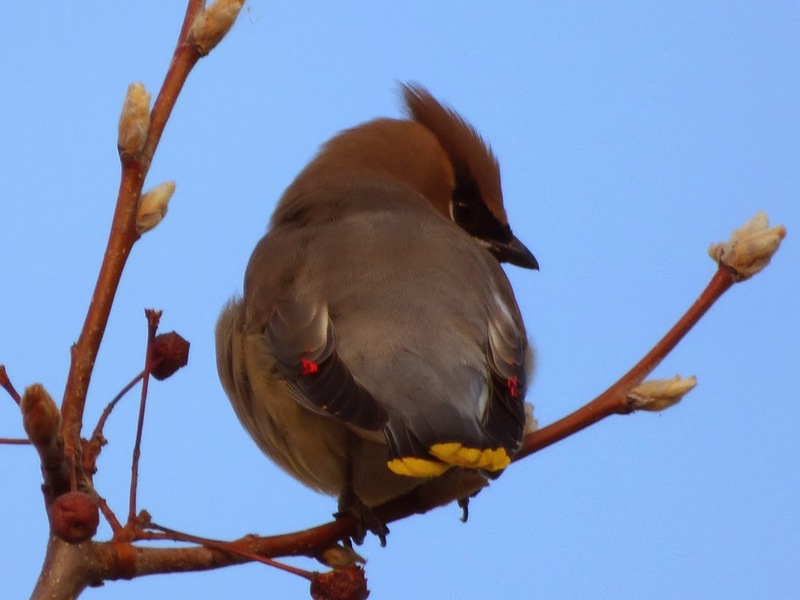 Geotripper: Birds of My Neighborhood: Geotripper Declares Cedar Waxwing Day! 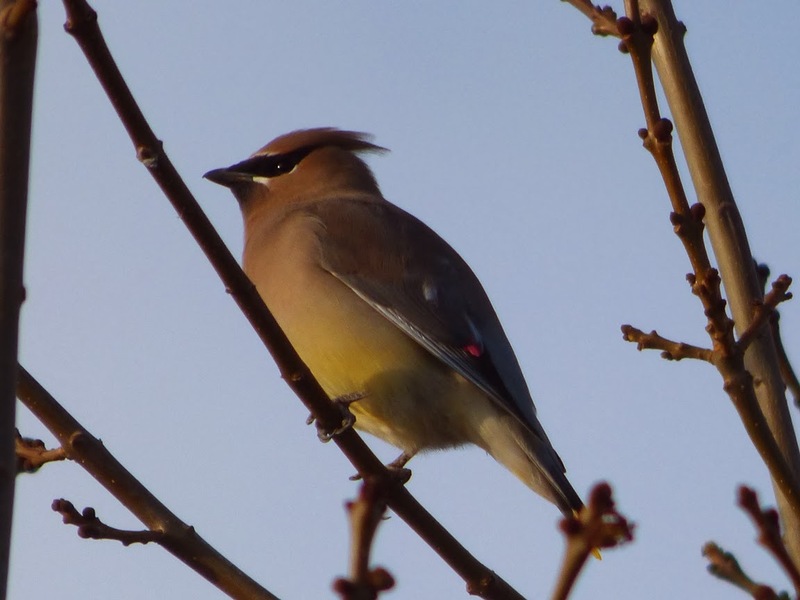 Birds of My Neighborhood: Geotripper Declares Cedar Waxwing Day! One of my new year's resolutions which was actually not a resolution, and wasn't made in January, was to lose the extra pounds around the waist (there's a resolution no one ever thought of before...), so I have been walking, walking, walking for several months now. When the new camera landed in my hand, and there were fewer field trips and no geology, I started concentrating on photographing the local bird species in my neighborhood. That neighborhood includes some irrigation canals and cow pastures near my home, and a small "mini-wilderness" on my campus that includes a cat-tail ringed drainage pond and a small forest of mature oak trees and eucalyptus. I have discovered much to my surprise (but of no surprise at all to my birder friends) that there is large diversity of species to be seen when one begins to look carefully. In my (freely admitted) ignorance, I dismissed all the small birds up in the trees as sparrows, but now that I am getting out on foot and looking carefully, those little black shapes are remarkably diverse. I've photographed more than thirty species so far, and I'm seeing new ones all the time. 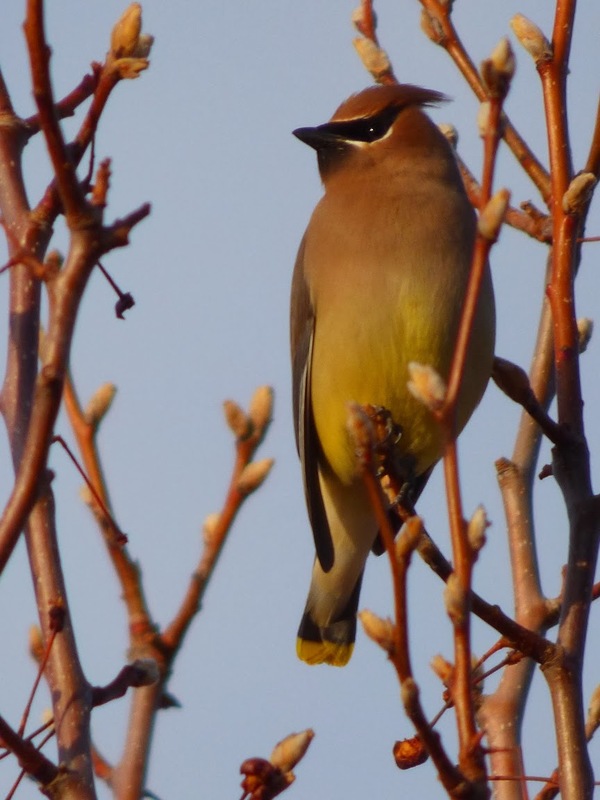 One of my favorite discoveries early on were the Cedar Waxwings (Bombycilla cedrorum). They were out one morning a month or so ago, and then disappeared again, and I didn't see any for weeks. This morning they were out in force once more, and weren't very skittish about the guy standing in the middle of the road snapping pictures of them. 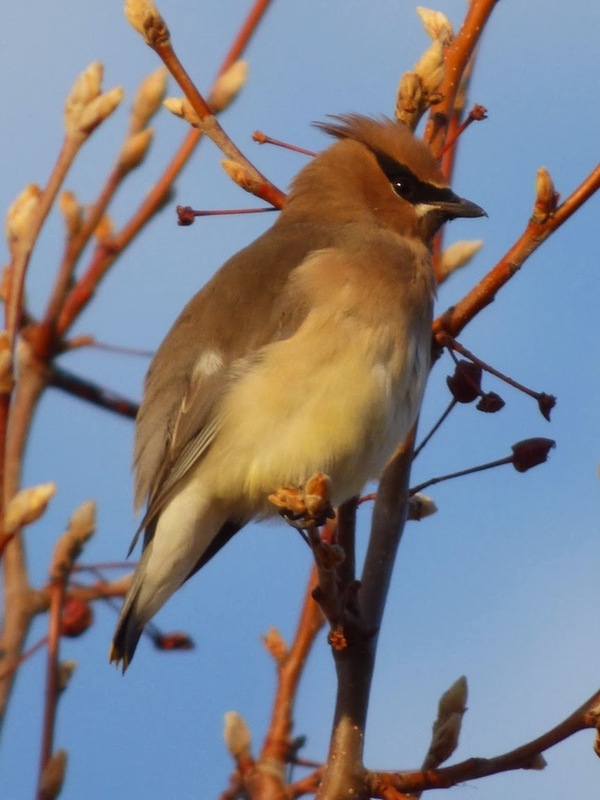 The waxwings nest in the northeastern part of the country and migrate into our area in the winter. They eat berries for the most part which actually protects them in an odd way. Cowbirds have been displacing lots of songbirds by laying eggs in the nests of the unsuspecting birds of other species. The young cowbirds hog all the food and sometimes kill the other chicks. 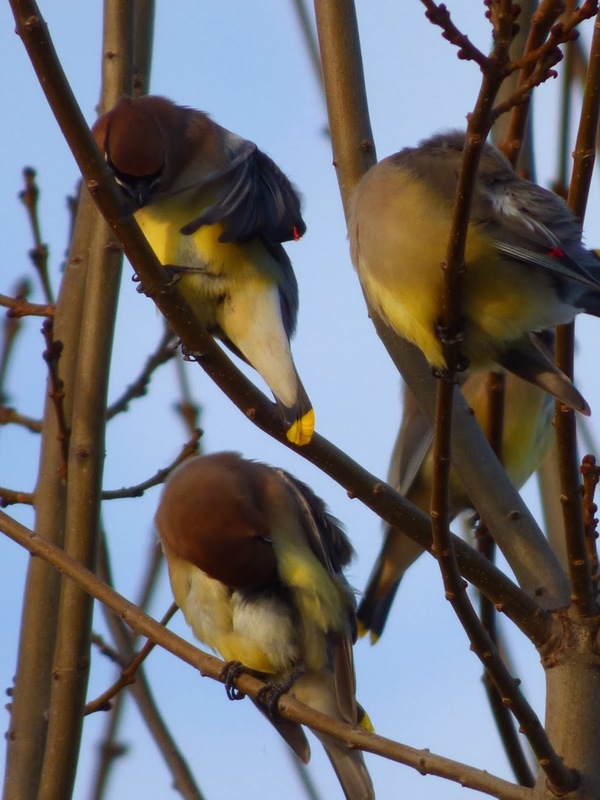 But the cowbirds can't survive on fruit alone, so they don't tend to make it in waxwing nests. 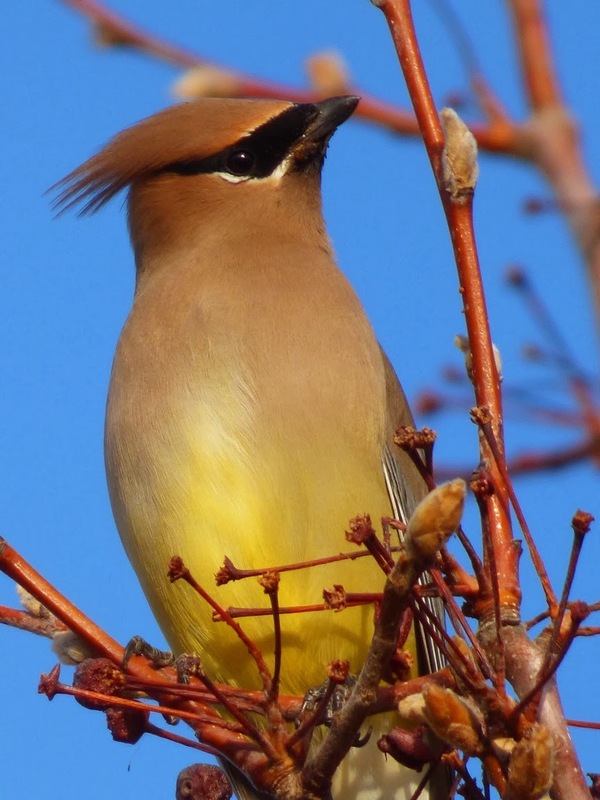 The name of the bird comes from the waxy red secretions that are found on the secondaries. I managed to get several decent shots of the red feather tips. They maybe have something to do with courtship and mating (bling!). 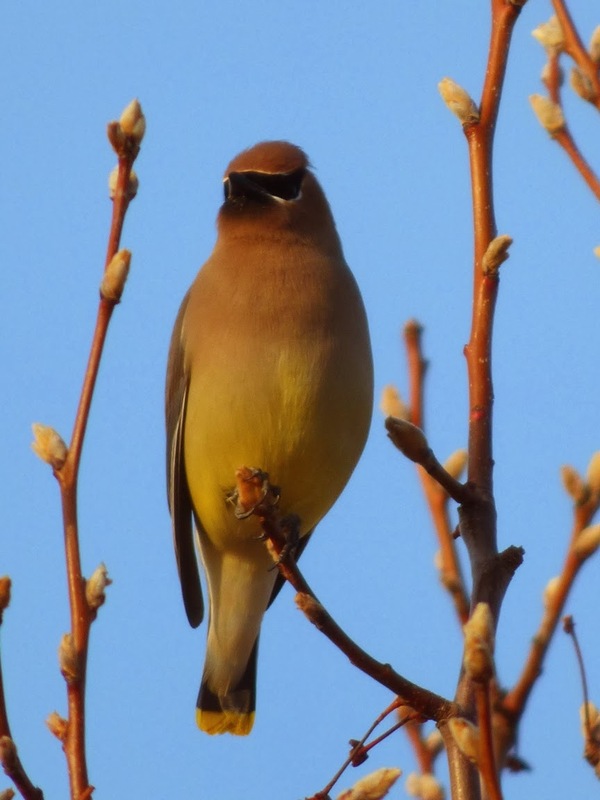 Unlike many songbirds these days in North America, the Cedar Waxwings are doing pretty well. They are classed as a species of least concern, and there are an estimated 50 million plus of them living in the country. It's nice that we aren't destroying all of the interesting species that we share the planet with. 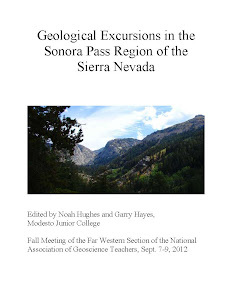 Okay, if you are worried that Geotripper isn't geological enough these days, don't! We will be headed out to Death Valley in a few weeks to take a look at the only place in California that is not suffering an exceptional drought (talk about the ultimate of ironies...). 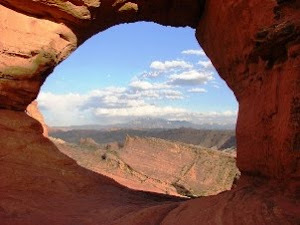 My new hobby of bird-watching prevents cabin fever! He is beautiful...enjoying your bird pics...thanks for posting.